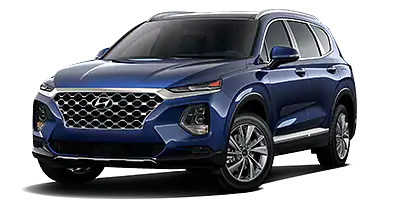 On all new Hyundai's sold only at Butler Hyundai! Every new Hyundai sold at Butler Hyundai comes with an extended limited powertrain warranty for 20-Years / 200,000-Miles! Powertrain Coverage: Vehicle Powertrain (no wear & tear) includes: Engine, Transmission, Transfer case, and Drive Axle. (All internally lubricated parts contained within the engine block, cylinder heads, transmission, transfer case, and drive axle.) Not including items such as glass, upholstery, paint, exhaust, catalytic converter, spark plugs, brakes, repair of leaks, rattles, squeaks, or normal maintenance of parts or services such as tune-ups, suspensions alignments, filters, fluids. Rental Car Reimbursement - In the event of a covered failure under this limited warranty or the manufacturer's warranty, Rental Car Coverage will reimburse you for the expense of a rental vehicle during the repair for up to 10 days $40 per day. Towing and Roadside Coverage – If the covered vehicle needs emergency roadside service, call the 24-hour toll free number at (800) 831-6870 for service. The following benefits are subject to a maximum benefit of $100 per occurrence: towing, jump starts, flat tire changes, delivery of an emergency supply of fuel, oil, fluid or coolant, lockout service. Your Vehicle Maintenance requirements: You must have your vehicle checked and serviced in accordance with the manufacturer's recommendations, as outlined in your vehicle's Owner's Manual. Retain all copies of verifiable receipts, failure to provide proof of services performed may result in denial of coverage.